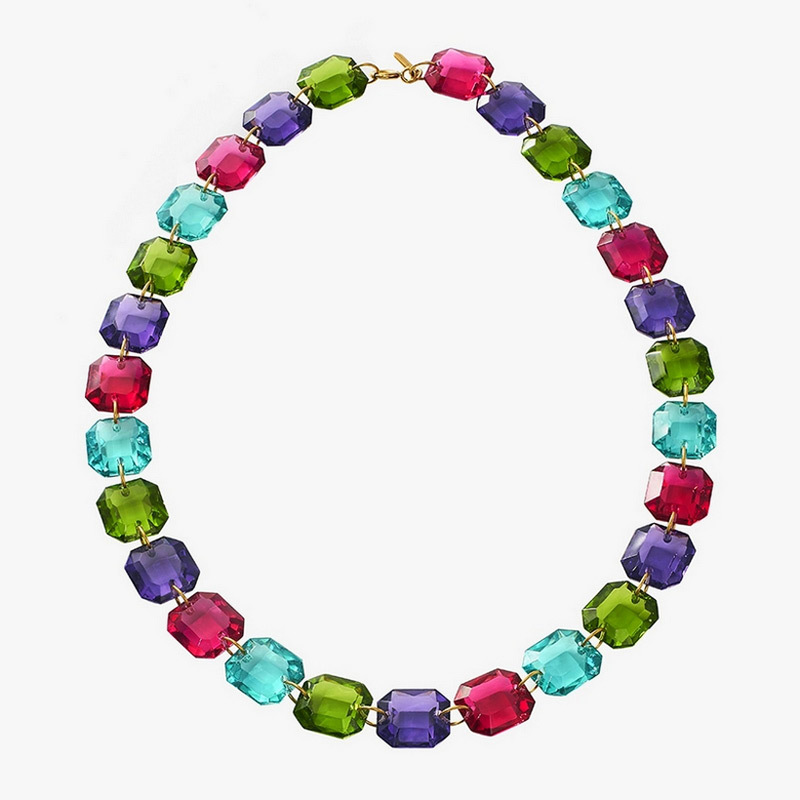 The French jewelry designer Marie-Hélène De Taillac brings her particular brand of magic to colored crystal. Inspired by the octagonal drops on the sparkling light fixtures, De Taillac created a collection of fashion jewelry for Baccarat. Imbued with a youthful vibe, the baubles reflect a more modern direction for Baccarat’s jewelry. 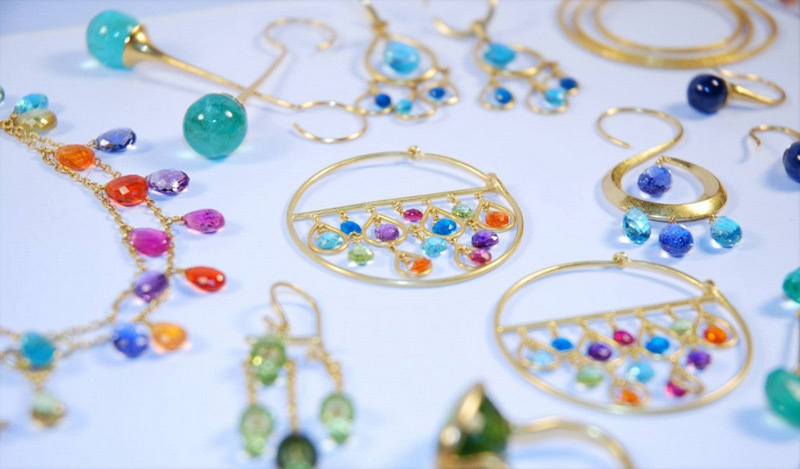 The collection includes striking drop earrings, chandeliers, rings, and necklaces with gold and silver settings. 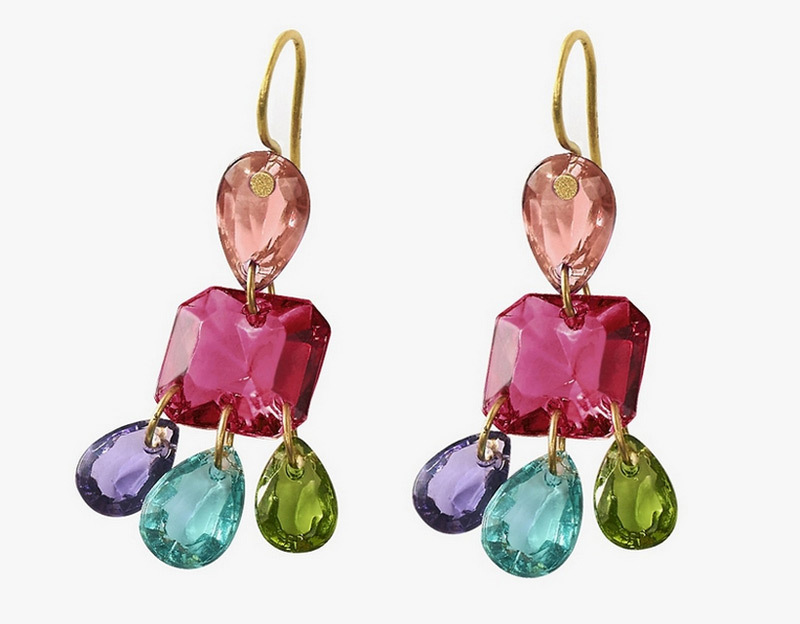 There’s also a limited-edition in Baccarat’s signature red, but the blue and blush crystals are equally striking. “The great thing about working with crystals is that the color range complements every skin tone,” explained the De Taillac. “The mysterious octagon metamorphoses into rings, pendants, necklaces and earrings. With incredible subtlety, the material embraces the skin on fine settings of gold or silver. Each piece becomes a magnet of attraction, its crown of a thousand lights illuminates any face, glorifies any décolleté, magnifies any expression,” says Baccarat Crystal house.